Custom gazebo-style addition with complete tear out and remodel of 1400 sq. ft. first floor. Complete tear out and rebuild of 2,050 sq.ft. home with creation of master suite and walk-in closets. 800 sq. ft. addition plus remodel, complex multi-pitch roof connections. 1200 sq. ft. complete tear out and remodel of multiple rooms, including structural changes. Addition plus interior remodel of hall and family room, 700 sq. ft. project. Extensive complex structural framing changes plus 750 sq. ft. interior and exterior remodel. 1350 sq. ft. interior remodel with interior layout changes. 500 sq. ft. bedroom and full bath addition with Dutch-hipped roof. Enlargement of kitchen by installation of flush-framed steel I-beam in ceiling, 400 sq. ft. project. 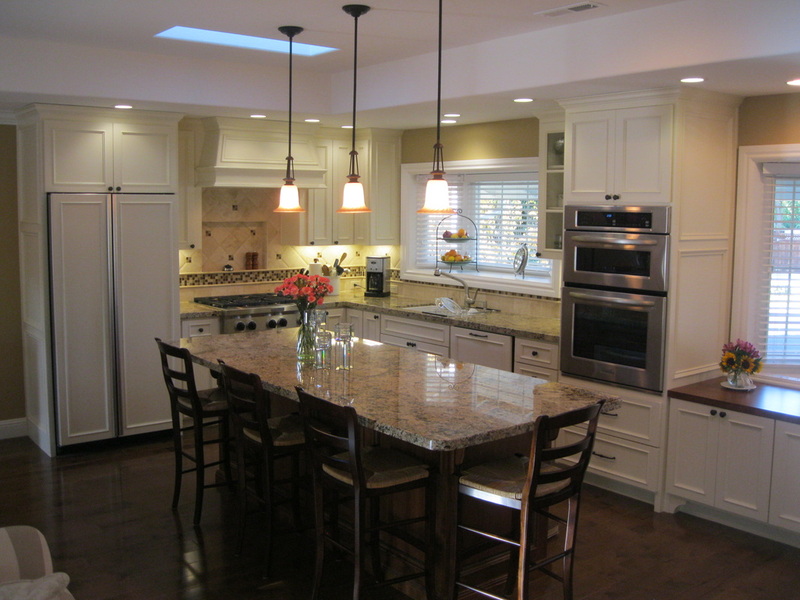 Enlargement of kitchen space and better use of existing available galley kitchen area. Structural changes to raise ceiling for kitchen and dining room remodel, 250 sq. ft. remodel. Movement on interior structural shear wall (including new foundation) to enlarge kitchen. New layout for bath/laundry room, with cabinets to hide laundry appliances from guests. Two bath complete tear out and remodel. Large 250 sq. ft. bath with tub, separate shower, and walk-in closet. Large bath remodel with layout/interior wall changes and custom walk-in closet shelving. Master bath complete tear out and remodel.